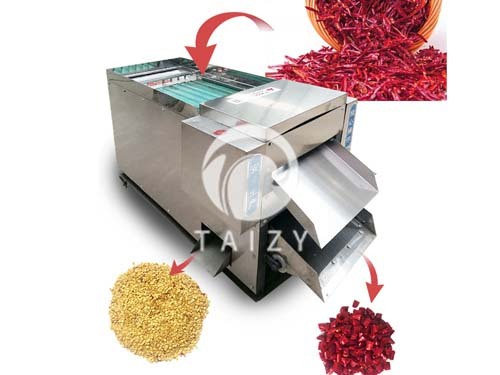 The crispy biscuit molding machine adopts the advanced technology from biscuit equipment manufacturers alike at home and abroad. And the biscuit forming machine is a combination of the exquisite design, manufacture under rigid supervision. From dough feeding in, three-roller compactor sheeting, biscuit forming, biscuit scrape recycling, transporting to the tunnel style oven for baking are all accomplished by fully automatic biscuit production line– the integration of mechanical and electrical technology. 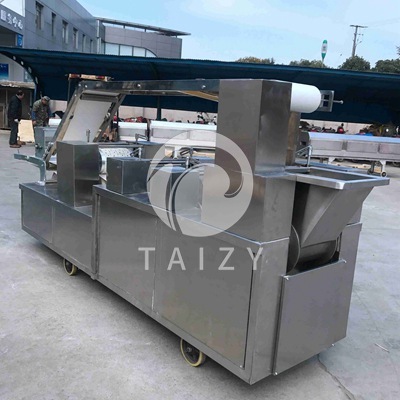 Combined with other biscuit processing devices developed by Taizy machinery, it can form a complete biscuit production line comprised of sugar sprinkling machine, biscuit baking oven, oil spraying, cooling, packaging, and intelligent baking control. 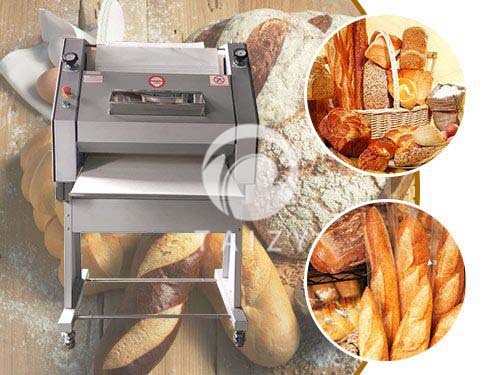 Through the intelligent control cabinet, the thickness of biscuits can be adjusted, the machine can be speeded up or slowed down through stepless speed regulating. 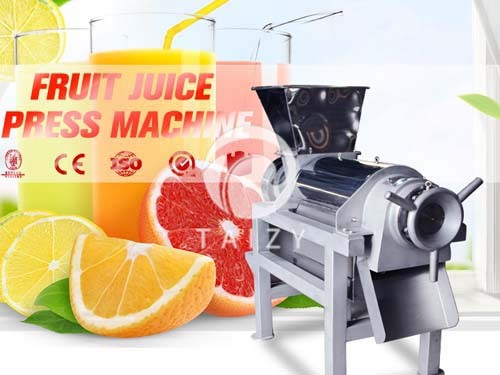 And with automatic temperature control assisted by a series of advanced devices, and with roller pressing and roller cutting function, it can produce crisp biscuit and tough biscuit. 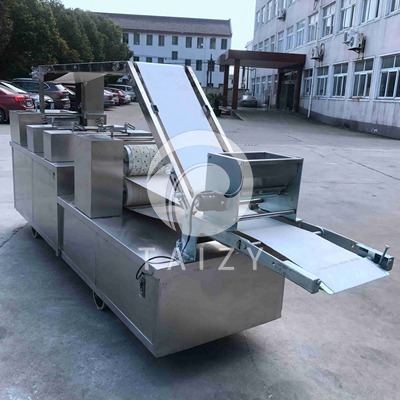 One person operation saving labor cost, economic cost, the biscuit molder machine has already become the new favorite of customers as the owner of the food factory. The crisp biscuit molding machine (also called crisp biscuit forming machine, biscuit molder machine, biscuit molding machine) is the special equipment that produces the crisp biscuit automatically in a continuous manner. 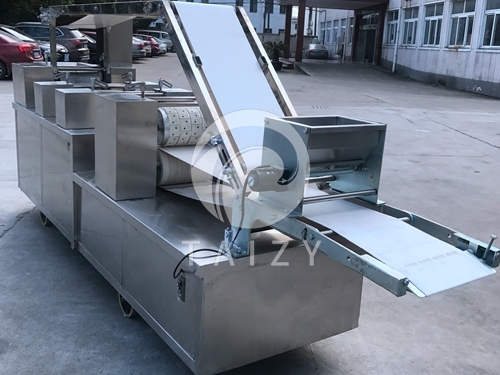 The biscuit forming machine in the biscuit production line is the preprocessing for biscuit baking in tunnel-type steel mesh belt oven, tunnel-type oven, and hot air circutaling oven. The machine is composed of a mold forming system (roller cutter with customizable cutting pattern) and chain conveying system, which are respectively driven by a speed-regulating motor, and the producing speed can be adjusted. In addition, the biscuit molding machine in the biscuit production line is also equipped with multiple adjustment mechanisms: PVC conveyor tensioning and deviation adjustment mechanism; Feeding clearance adjustment mechanism, etc. 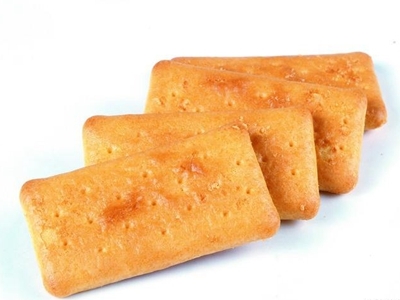 The baked biscuit is good in color, aroma, and shape, featuring high yield, energy saving, reasonable structure, simple operation, the high degree of automation and advanced technology.